Location: 371 Jackson Rd, Sunnybank Hills – Sunkids. 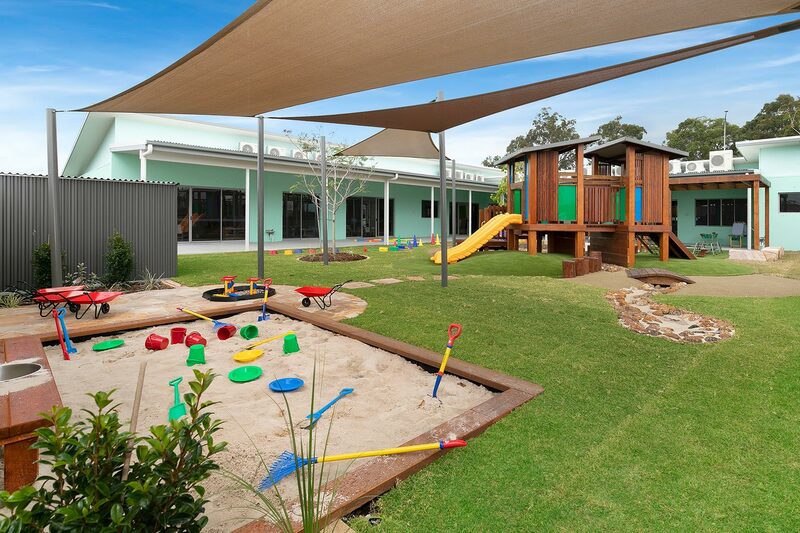 Referred by a previous client, the Sunkids Group contracted Jorgensens to construct this new 95 place child care centre building design, including fit out in Sunnybank Hills. This centre consists of high quality finishes including ducted air-conditioning, vinyl flooring throughout, stone benchtops, extra height ceilings and exterior windows allowing for lots of natural light and ventilation. Maxprint also matched the corporate colours to complete a printed glass splashback for the Kitchen! This generous 615 m2 centre on 2116 m2 site with 180m2 undercover feature piazza, will be completed to a turn key finish including external playscape, artificial turf, underground water tank, sandpit, landscaping including recycled timber decking on the verandas. This project was completed in approximately 21 weeks, 2 weeks ahead of schedule. Visit the Sunkids website now!